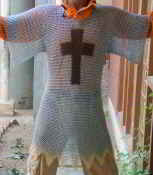 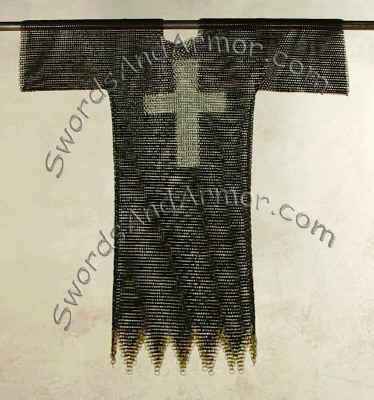 Same exact chainmail shirt as above but in black with a zinc finish cross woven into the shirt. 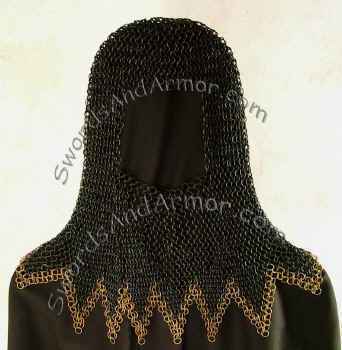 It has the same fine dogged bottom edges with solid brass adornment just like the zinc chain mail shirt version shown above. 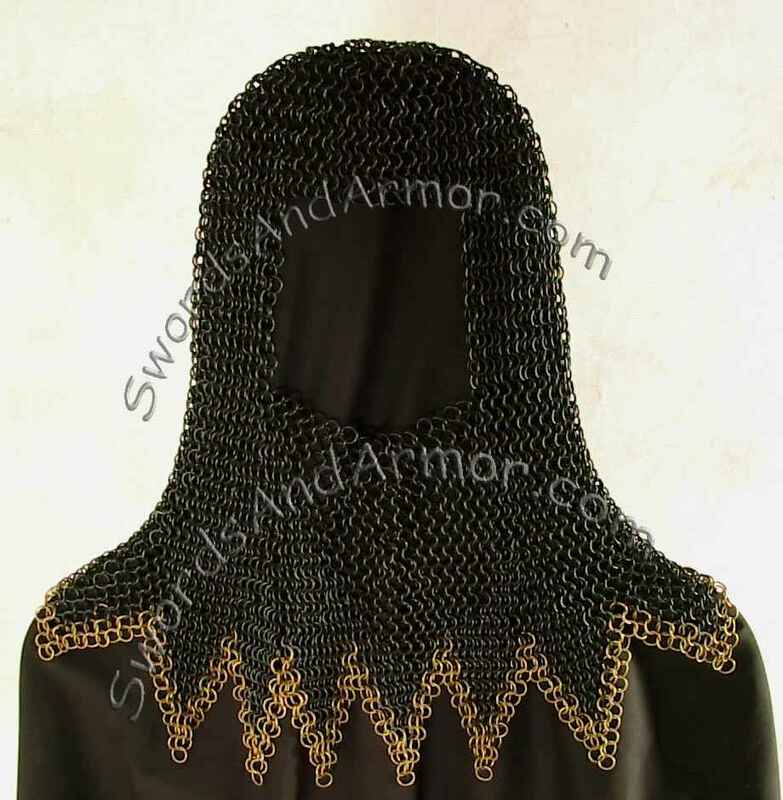 The matching Black Coif is also available and sold separately. Swords and Armors Specials !